Sardinia is just a 11km boat journey away, across the Bonifacio Straits - why not combine a stay in Corsica with a few days on another of the Mediterranean's most beautiful islands? Its situation equidistant between Italy and Tunisia, Sardinia is in the heart of the Mediterranean. 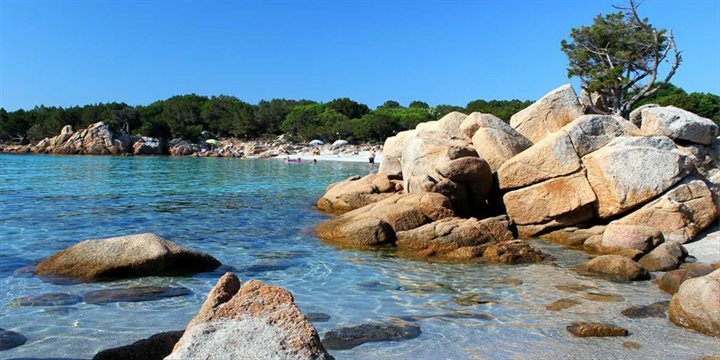 From the glamour of the Costa Smeralda to the beauty of the rural interior, it is a popular destination for those who love water sports, beach life and exploring the mountainous region. Sardinia is known for its natural beauty but also for its history, with Neolithic sites and traces of many invaders marking the island’s history. There has been more tourist development than Corsica, but still the island remains relatively unspoilt. Go sailing on the Costa Smeralda. Or if sailing isn’t your thing, the sport of people watching is a great alternative! During the peak summer months, this area exudes wealth and is swarming with affluent yachties and sophisticated Italians, as nearly everyone here owns a yacht. Needless to say this is a fantastic place to spend your evening admiring the magnificence of the yachts that line the 650 birth marina not to mention the people. If you do decide to enjoy an evening with the rich and glamorous, be aware that the prices in some places might seem tailored to this clientele! The windy beaches of Porto Pollo attract hundreds of surfing enthusiasts and offer perfect conditions for these sports whether you are an expert or a novice. With fantastic views over the Maddalena Islands, this double bay is a playground for water sports’ fanatics with everything from windsurfing to canoeing. Equipment and instruction can be hired from one of the many water sport centres in the bay. A trip to The Parco Nazionale dell’Arcipelago della Maddalena is an experience not to be missed. This archipelago of stunning islands can be reached by boat in 15 minutes with many operators offering excursions in nearby Palau. Many of these excursions offer at least one stop at a secluded bay for a swim in the unpolluted sea, as clear as a swimming pool. These islands are popular stopping-off points for yachts as well as day-trippers. Linked to La Maddalena by a narrow causeway is Isola Caprera, covered in thick green pine and home to the late Giuseppe Garibaldi. Despite the name, which may be more well known in the UK for its inspiration for a popular currant biscuit, Garibaldi was a national hero who led many battles that led to the unification of Italy. Garibaldi chose to set up home on Isola Caprera in 1855 and over a decade bought the whole island and went about building his residence fit for a king. He later died in 1882 but his house remains and is now a museum and memorial chapel and the island is a national monument. Guided tours operate around his home and give you a fantastic insight into life back then. Caprera is also the ideal location for walkers with a plethora of trails that take you through thick pine forests with many leading to secluded bays. At the peak of the island you will find the Teialone lookout tower offering spectacular far reaching views. If you enjoy horse riding, you will love the organised treks in San Teodoro that take you around the lagoons, an exhilarating experience. There are also several pizzerias in this town that double up as music bars in the evening so if you enjoy music and a lively atmosphere then stick around. Sardinia has many prehistoric sights, a number of which are in the Arzachena area including the Nuraghe di Albucciu and further on, The Tempio di Malchittu which dates back to 1500BC. Further inland, the forests and rolling hinterland are dotted with prehistoric treasures and provide ideal terrain for hikers and explorers. More sweeping than the north east coastline and less indented, the north west has long stretches of high macchia covered cliff and hillside, an abundance of sandy beaches, small resorts and historic towns, Castelsardo, Sassari and Alghero itself. 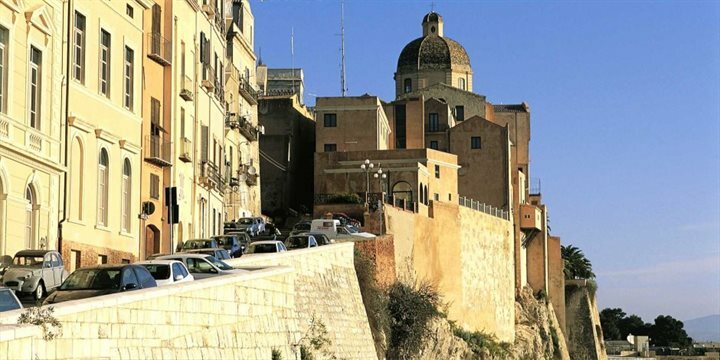 From the Via Roma facing the port in Cagliari, walk to the Piazza Carmine and catch the 'Trenino Cagliaritano' which will take you on a tour of the city and up to the medieval 'Castello'.